The city’s newest ice cream shop is serving up Thai rolled ice cream. 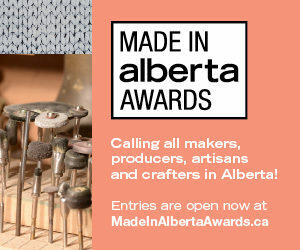 Scooped, swirled, made with liquid nitrogren – ice cream comes in many forms in Calgary. 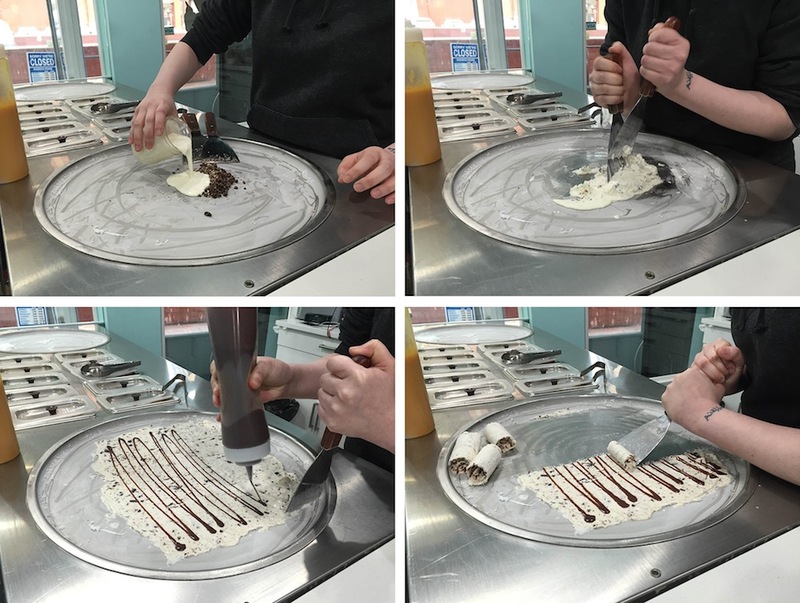 And now, you can also get it rolled at the city’s newest ice cream shop, Sweet Tooth Ice Cream. Sweet Tooth Ice Cream is the city’s first brick and mortar shop to specialize in rolled ice cream, a treat that hails from Thailand. The shop has brought some new energy to the Chinatown area since it opened there this past September. Sweet Tooth makes the rolled treat by pouring a raw cream mixture and toppings onto a cold plate, chopping and mixing them together, then scraping them into rolls. The shop’s four cold plates are all within easy view, allowing you to watch your ice cream being made and rolled right in front of you. Sweet Tooth Ice Cream offers seven rolled ice cream flavours on its regular menu, which range from the Strawberry Shortie (made with strawberries, vanilla bean and whipped cream) to the London Fog (made with roasted earl grey, honey, fruit loops and whipped cream). There will also always be two or three seasonal flavours available, one of which will be a collaboration with fellow Chinatown shop The Chocolate Lab that uses their chocolate as the ingredient that is combined with the cream mix. For 50 cents to $1 more, you can add extra toppings like brownie bits, wafer sticks, gummy candies and mini macarons. Rolled ice cream isn’t the only treat you can get here though – the menu also features macaron ice cream sandwiches and raindrop cakes, which are like clear Jell-O in the shape of a raindrop. Once you’ve made your choice, grab a seat at one of the shop’s tables or at the bar to enjoy. To make rolled ice cream, toppings are chopped up on a cold plate, then a raw cream mixture is added. These are then mixed and chopped together, spread out thinly over the cold tray, and sauces can be drizzled on top. The ice cream is then scraped into rolls. 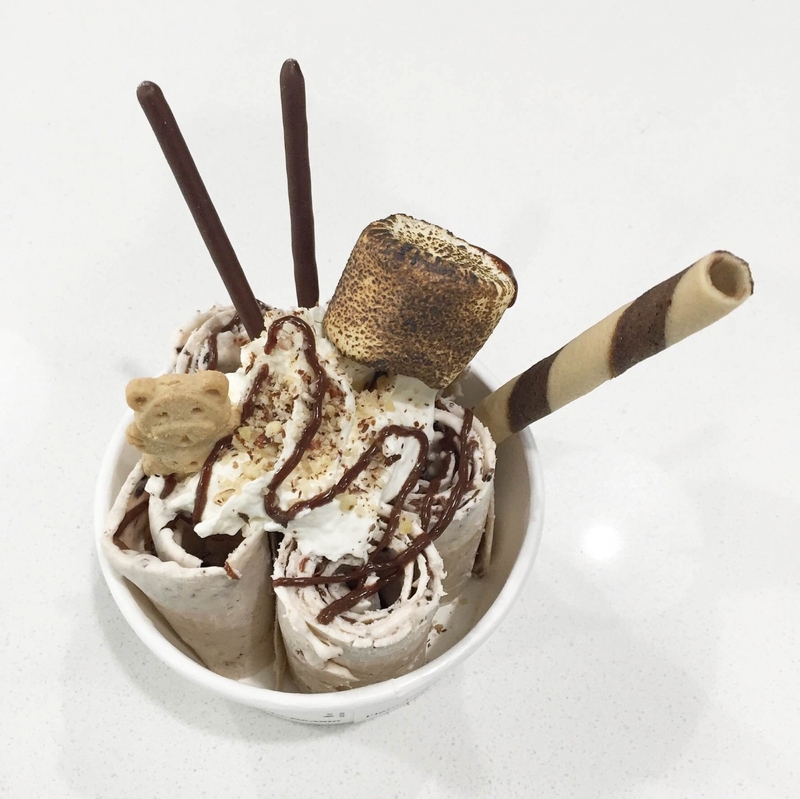 Each order of rolled ice cream comes topped with a few final toppings like whipped cream or nuts, but you can also add extra ones like Pocky sticks and freshly toasted marshmallows to create your ultimate rolled ice cream treat.